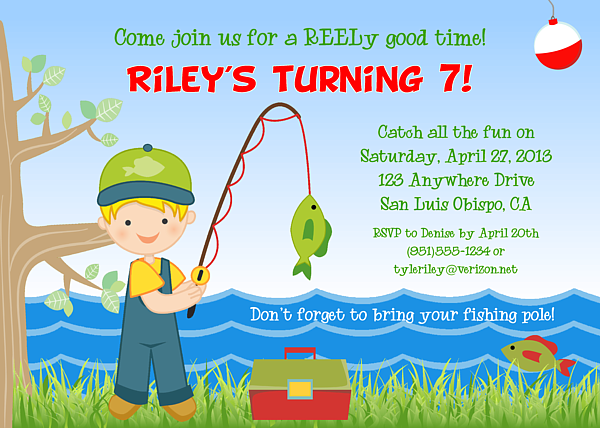 Fishing birthday party invitations. 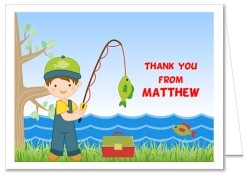 This cute kids fishing invitation is perfect for a boys fishing birthday party. 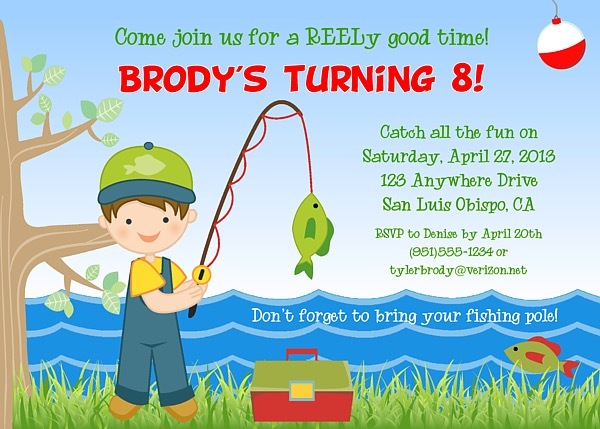 Invitation background color is sky blue along with blue waves and green grass and you choice of boy hair color. Excellent for kids birthday parties! These are printed using a high quality laser printer and the finished party invitations are affordable and of outstanding quality!